I told you I’d be doing a little bit of virtual vacationing, so here is my first installment. Almost a year ago, I went to Panama with my good friend Elvera. We stayed in Panama City for about half of our vacation, relying on the hospitality of my business school classmate, Joe, and his family, including his wife and son, and his parents. Everyone seemed happy to welcome two single girls to Panama, but more on that later. 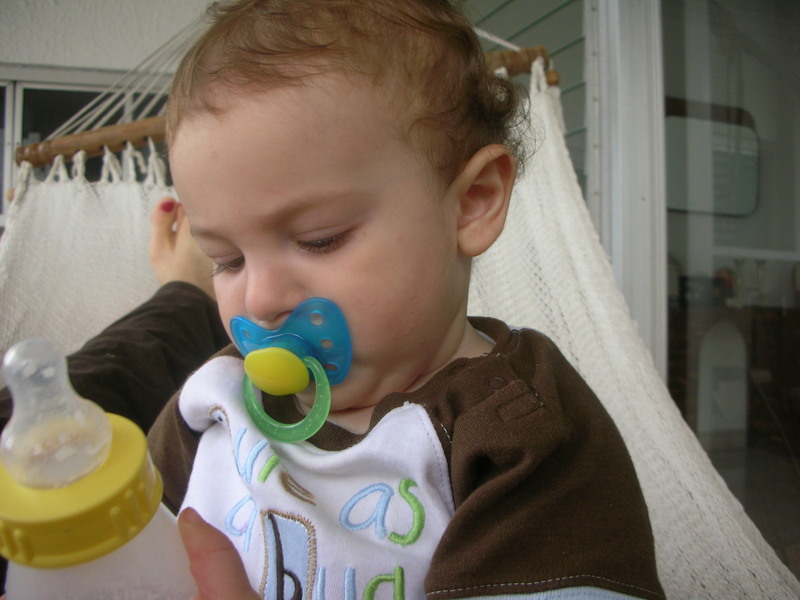 The best part of my mornings was waking up early with little Jack and sneaking him out to the porch with a bottle to give his mom a few extra moments of sleep. 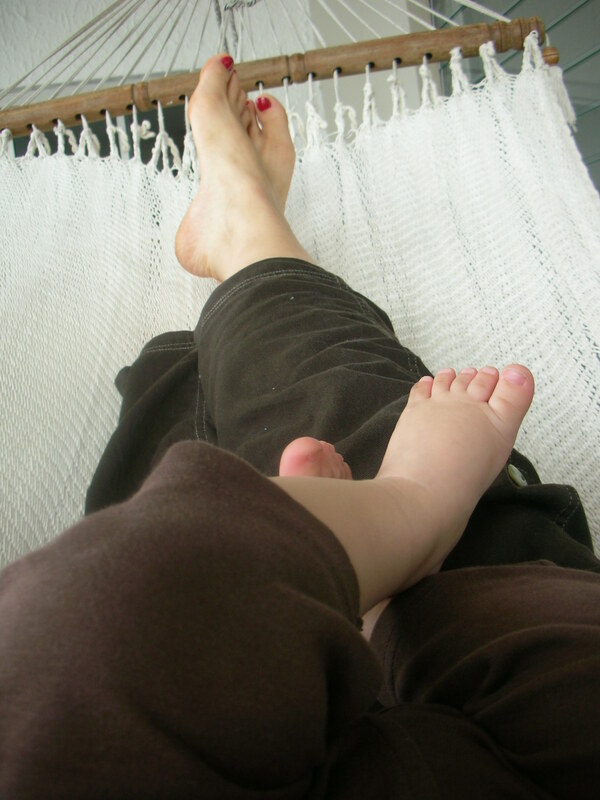 We would lounge on the hammock lazily lapping up the few rays of sun slowly peeking out above the horizon. 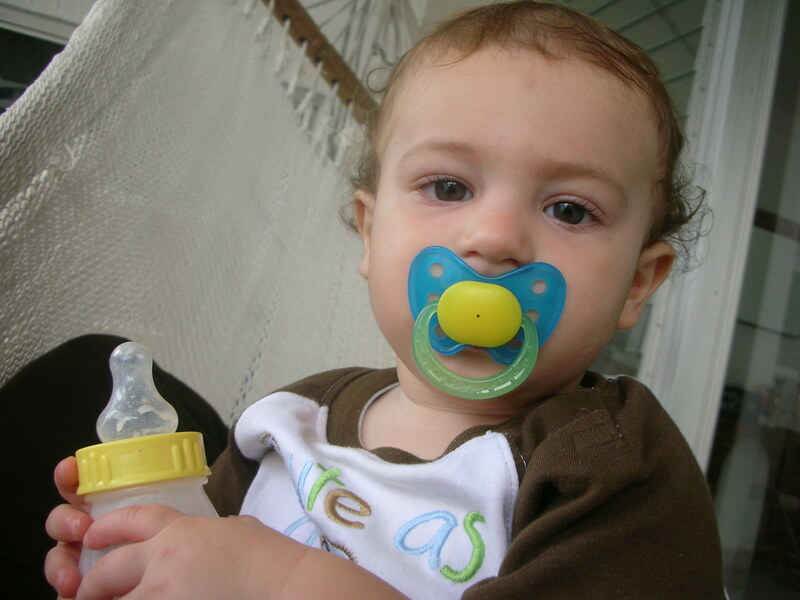 After our early-morning nap, I was sometimes greeted by a glass of fruit juice. Not ordinary orange or grapefruit juice. No, this is Panama. 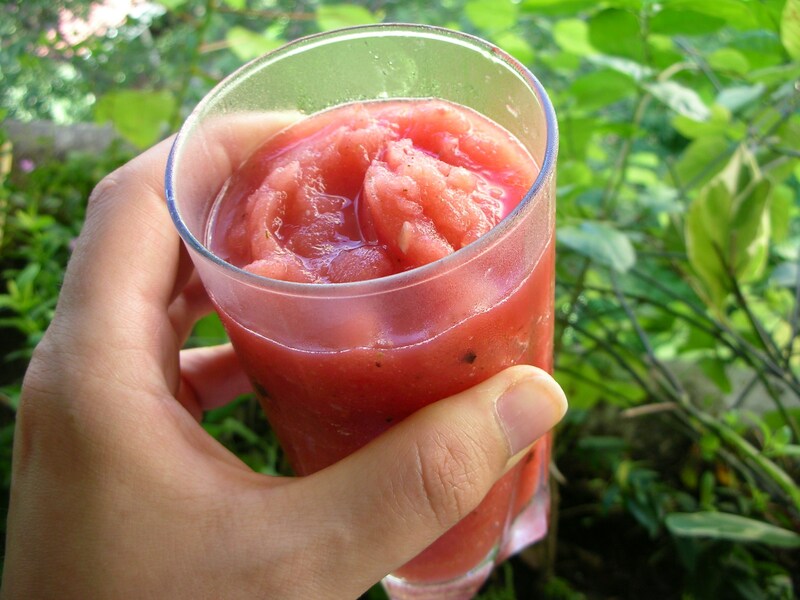 One morning it was papaya juice, the next watermelon blended with ice and served in a frosty glass. When Elvera and did venture out to Bocas del Toro, our AM breakfasts always included the same fruit salad – a mix of papaya, watermelon, and pineapple. And a lot of coffee. So, when I returned to my home, with neither hammock nor little Jackito nor the coordination to make a frosty fruit beverage, I recreated my tropical mornings with the same salad from Bocas. 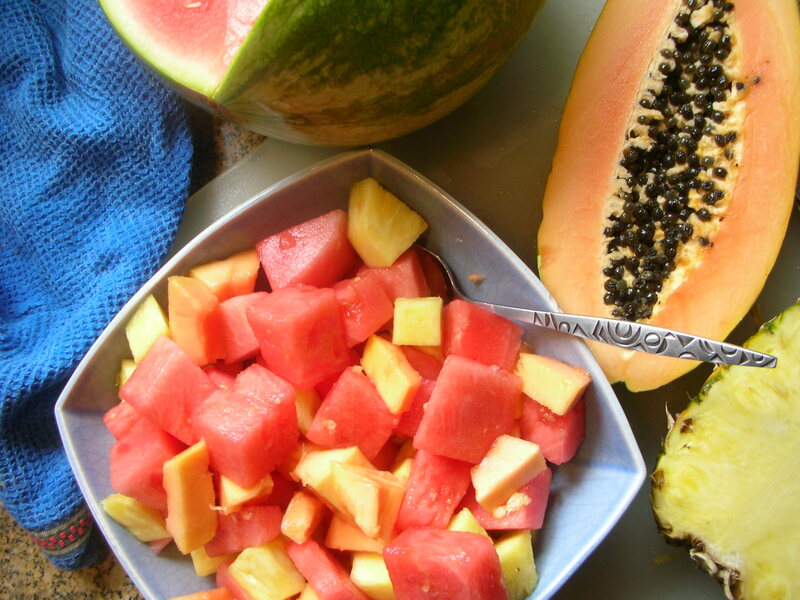 Choose the ripest papaya, watermelon, and pineapple you can find. Scoop seeds out of papaya and cut flesh into bite-sized chunks. Cut watermelon flesh into bite-sized chunks. Cut pineapple into bite-sized chunks (leaving out the stringy core). Add a few splashes of lime juice. Mix. Eat in the sunshine. How beautiful, Jack and the fruit. next time you are going to panama I ‘m coming with you! Jack and his pudgy feet are adorable. Your tropical breakfast looks very resort-y.